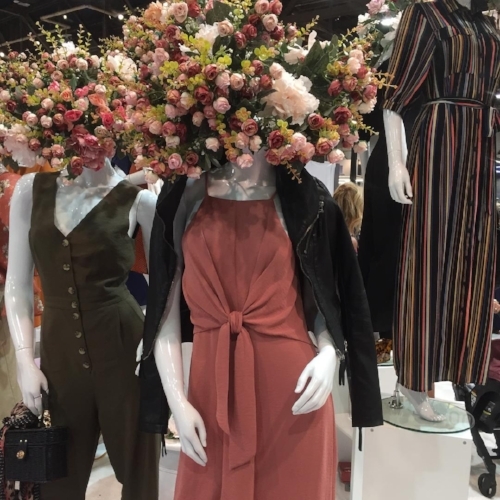 Try on and preorder next season’s looks from Joseph Ribkoff! 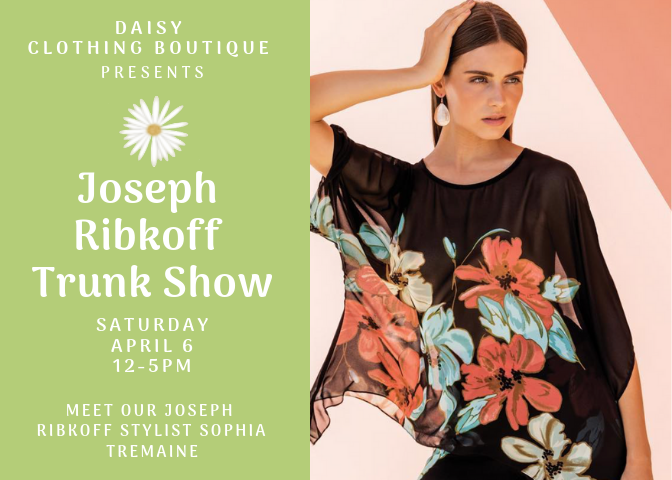 Meet our Joseph Ribkoff stylist Sophia Tremaine. Sunday Brunchday! Stop in soon, so many pieces for spring arrived this week! Is your outfit feeling a little bland today? 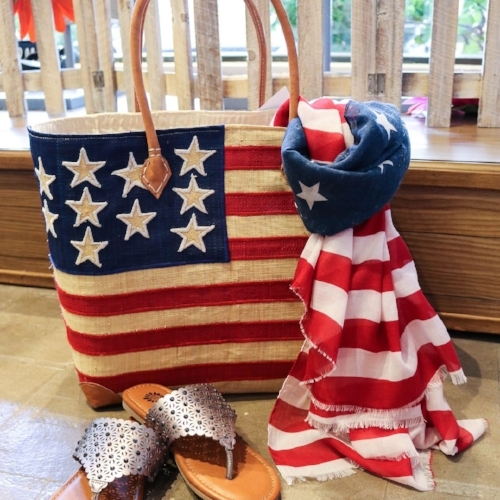 Spice it up with a few fun accessories. Save 25% on all our jeans in stock today through February 4th. 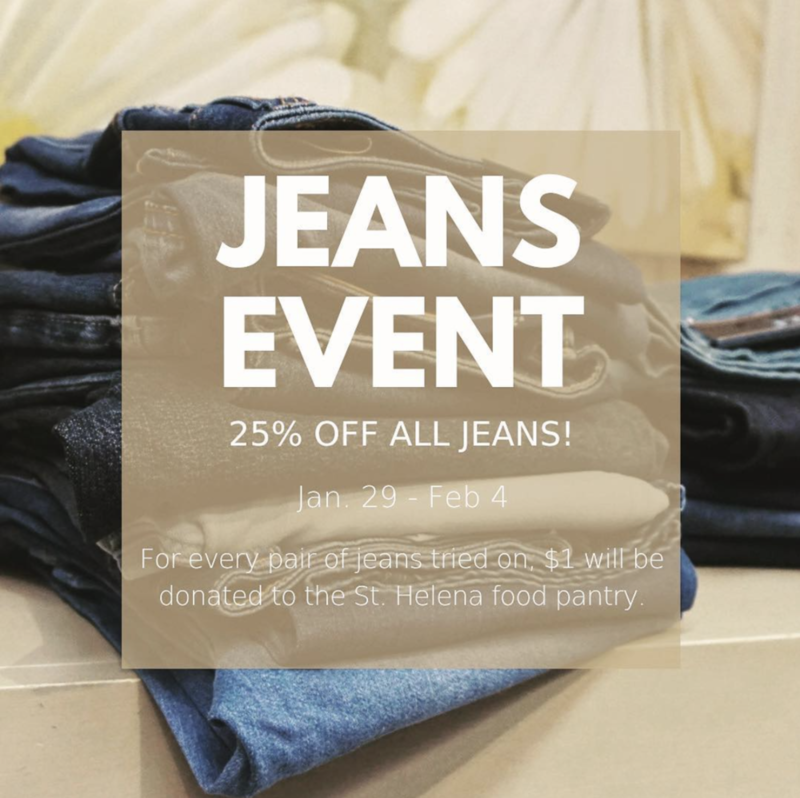 With each pair jeans tried on, we will donate $1 to the St. Helena Food Pantry. Inspiring displays at market today and lots of cute finds for the fall! Our Joseph Ribkoff rep looks stunning in this LBD! Ready for a weekend at Porch Fest! 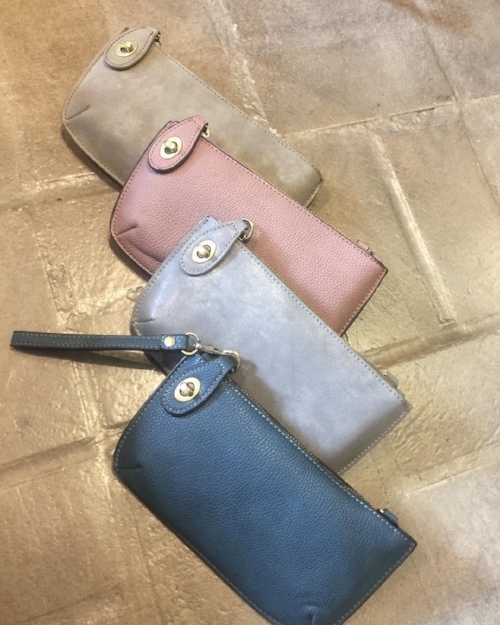 Our best selling clutch (and crossbody) is back in stock! The colors!!! From all of us at Daisy! Jeans Specialist, Pat Beck, from FDJ Jeans will be in store to help you find the perfect jeans for your body type. New styles and sizes arrived just for this event! Celebrating Daisy's 10 Year Anniversary! Stripes, embroidery, a summer bag and white denim shorts! Beautiful earrings designed by the wonderful Sherri Gallagher! Swing by Daisy to check out more of her lovely jewelry. Break out those summer whites and floppy hats, sunny skies are in our forecast! Finished up market at MAGIC Las Vegas! Looking forward to warm days for these sandals and floral tunic! It's a hat kind of day!